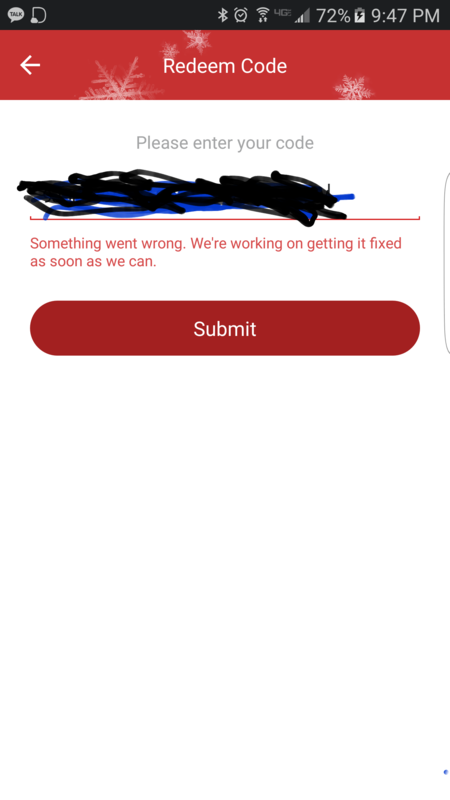 keep getting errors. got the redeem code from Verizon when I purchased. doesn't expire til April 2017...but I keep getting this. Same here. I called 1-800-SAMSUNG and they said to call Oculus support, but it keeps taking me back to Samsung support. I have same problem. I still can't find a real person to talk to.